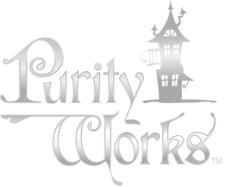 Help us rebuild purity there, one story at a time. Nicaragua is the second poorest country in the western hemisphere, but very few can even say where it is on a map. During repeated mission trips to the area, we've fallen in love with this nation's people. It's our privilege to remind many materially poor families that they are part of a royal family and God is delighted with them! in Nicaragua, and in other countries as God gives opportunity. pure heart. The pure in heart see God and respond to Him. PurityWorks is a 501(c)3; all gifts are tax deductible. Use the link below to give. Checks may also be made out to PurityWorks and mailed to: PO Box 5363, Deltona, FL 32728. THANK YOU for your support. Purity does work, and we can encourage families with resources to pursue it because of your generosity and faith in us. Please like our page (PurityWorks with Jennie Bishop) on Facebook to see regular updates and information. Children learn how they are part of a royal family like the Princess and Squire, and how to act that way! Here they see how to make good choices about what they let in through the five senses to guard their hearts. These girls attended the rite of passage ceremony that happened after a production of The Princess and the Kiss. Jennie Bishop, author of The Princess and the Kiss and the main speaker for PurityWorks, gives families instruction on how to use the Planned Purity approach to purity training in the home.